Michael Jakobsen contests with Apostolos Stamatelopoulos of Adelaide United. 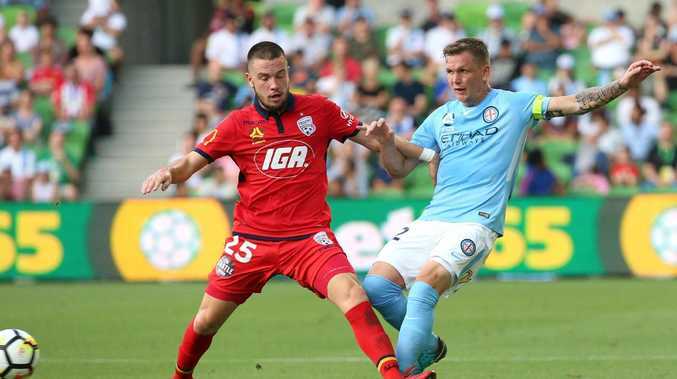 MELBOURNE City have made their first major move of the A-League off-season, releasing skipper Michael Jakobsen to join rivals Adelaide United. The Danish central defender, 32, has traded A-League homes on the basis of the certainty of a two-year contract. And there could yet be movement in the opposite direction. City are interested in Reds defender Ersun Gulum, who may be keen to move to his hometown of Melbourne, with no deal yet agreed. City have released Jakobsen believing they can yet trade up on their skipper with plenty of time before the new season begins. Jakobsen's departure comes despite his seniority at City. Until round 27, the Dane had played in every match of the regular season under Warren Joyce, who handed him the club captaincy in the wake of Bruno Fornaroli's long-term ankle injury. Unfortunately for Jakobsen, he missed City's finals campaign with a thigh complaint. 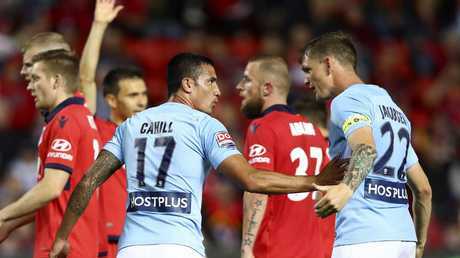 Tim Cahill tries to calm down Michael Jakobsen against Adelaide United. United coach Marco Kurz said he was delighted to capture the former international. "He is a very experienced defender and has had a very good career in Europe and also with Melbourne City," Kurz said. "He will bring a lot of leadership to our group, which will be fantastic for our young players." 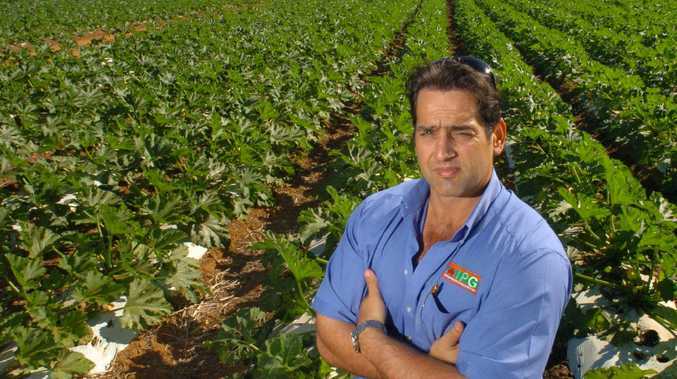 Jakobsen said he was motivated to win a title with Adelaide, but the lazy lifestyle of the city of churches also appealed. "I've heard only positive things about Adelaide United, so that was a big part of my decision," he said. "People have said Adelaide is a good city especially for small families and I have a small family so it's perfect." Jakobsen made 43 appearances in two seasons at City, winning the FFA Cup in 2016.